A mindful school is a healthy, more collaborative, engaged environment. 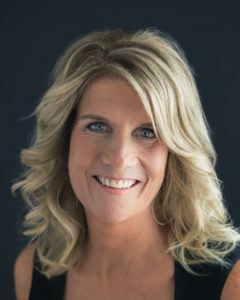 Lisa is currently a Professor in the College of Education at West Chester University of Pennsylvania, a speaker/trainer that provides workshops on Engaging Learners, and a professional coach that specializes in helping others achieve balance- finding the median between working to live and living to work. She has decades of experience in education as a teacher, instructional coach, administrator, and consultant, and currently a professor. Essentially, she is a life long teacher educator. She has taught in public, private, parochial, pre-school, and higher education. Her research focuses on creating a culture of mindful educators and students in environments that are collaborative and healthy. Most recently, she is investigating whether adopting deliberate habits and stress reduction strategies can help educators manage the “overwhelm” and live a more peaceful, productive, and balanced life. Her book, Practicing Presence by Stenhouse Publishers is a compilation of simple self-care strategies, habits and resources for educators at all levels. Her teaching focuses on engaging learners, change theory, educational leadership, designing optimal learning environments and social emotional awareness for both students and adults. She has been a Collins Writing Program Associate since 2008. For over a decade she has been an educational consultant working with pre-schools, K-12 schools and universities, helping improve student performance through writing and thinking across the curriculum, with a focus on student engagement. Lisa practices evidence-based coaching with clients she has the ability, knowledge, resources and skills to find current information from valid, reputable research, translate it, determine its applicability, and then mobilize the client’s inner resources for the purpose of enhancing performance for personal and career development. Most teachers entered education to make a difference, to influence children’s lives. This book provides habits and routines to protect that passion so that teachers have the presence to provide quality social, emotional, and academic support to their students. Throughout the book there is an emphasis on personal habits that make it possible to remain happy in the vocation of education by focusing on self-care and stress reduction strategies for teachers. The book is packed with useful exercises, checklists, personal anecdotes, and a wealth of resources, and personal practices to help educators recognize mindlessness, reframe, and establish a mindset that enhances focus and attention. Included in each chapter are self-care strategies to explore how to self-regulate, nurture self-acceptance and promote compassion. It’s a book that focuses not on doing, but rather on being present. Lisa’s experience as a coach gives the reader the feeling of having a personal coach that provides concrete suggestions and routines so that teachers feel prepared for the classroom. Each chapter provides methods to achieve a state of presence that Lisa collected from cutting edge science, brain-based research, ancient wisdom traditions, and the happiest people she knows. © Copyright 2019 - Practicing Presence. 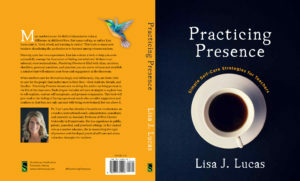 Author Dr. Lisa J. Lucas - Practicing Presence.